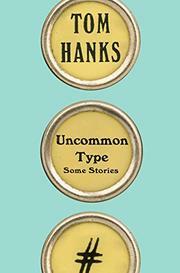 Seventeen wide-ranging and whimsical stories—with a typewriter tucked into each one. Only one of the stories in Hanks’ debut features an actor: it’s a sharp satire with priceless insider details about a handsome dope on a press junket in Europe. The other 16 span a surprisingly wide spectrum. There’s a recently divorced mom who’s desperate to avoid the new neighbor who might be hitting on her; a billionaire inventor who’s become addicted to taking time-travel vacations; a World War II veteran whose Christmas Eve 1953 is disturbed by memories of Christmas Eve 1944; a young man who celebrates his 19th birthday by going surfing with his dad; a Bulgarian immigrant literally just off the boat, spending his first few days as a New Yorker. Three stories are editions of a small-town newspaper column called “Our Town Today with Hank Fiset.” Three others feature a group of pals named MDash, Anna, Steve Wong, and an unnamed first-person narrator. In one story, the friends go bowling; in another, they go to the moon; in the third, the narrator and Anna try dating for three weeks only to find that “being Anna’s boyfriend was like training to be a Navy SEAL while working full-time in an Amazon fulfillment center in the Oklahoma Panhandle in tornado season.” Or as Steve Wong puts it, “We are like a TV show with diversity casting. African guy, him. Asian guy, me. Mongrel Caucasoid, you. Strong, determined woman, Anna, who would never let a man define her. You and her pairing off is like a story line from season eleven when the network is trying to keep us on the air.” There’s a typewriter in every tale, be it IBM Selectric, Royal, Underwood, Hermes 2000, or some other model. Hanks can write the hell out of typing, and his dialogue is excellent, too. Has he read William Saroyan? He should. While these stories have the all-American sweetness, humor, and heart we associate with his screen roles, Hanks writes like a writer, not a movie star.